Could you possibly take a minute to vote for me in the Borderline Brilliant Contest? I sure would love to win! And there is no registration, signing in or any other hoops to jump through. Click HERE to vote and I am #27. Thanks so much! Yours is the best by far! I voted...sending it to Karen now. :) Good luck! I voted! Yours was the cutest. :) Good luck! voted! 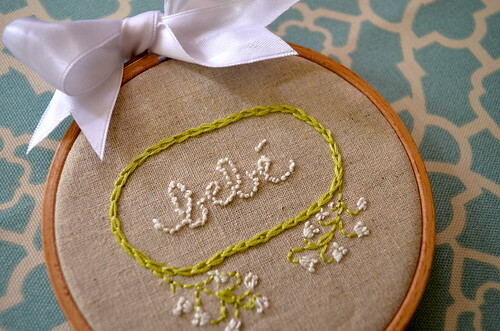 i love, love, love this little embroidery!